2. Gather as much evidence as possible about it. 3. Develop axioms based on the evidence, and try to assign a probability of truth to each one. 4. Draw a conclusion based on cogency in order to determine: Are these axioms correct, are they relevant, do they necessarily lead to this conclusion, and with what probability? 5. Attempt to disprove the conclusion. Seek refutation from others to further help break your conclusion. 6. If nobody can invalidate your conclusion, then you're probably right, but you're not certainly right. 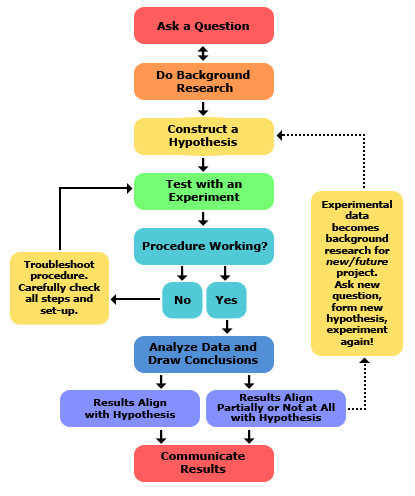 Am I saying you can apply the scientific method to a religious question, to the question of whether God exists and, if so, what God is like and how you can interact with him/her? Yes, that's exactly what I'm saying. You can---and you must---figure this out for your own self, so that you have your own "testimony" (put in quotes b/c that's what I call it, though others may call if something else). I LIKE quoting Elon Musk. That's a WAY cool way to do this. Where do poets get their inspiration?